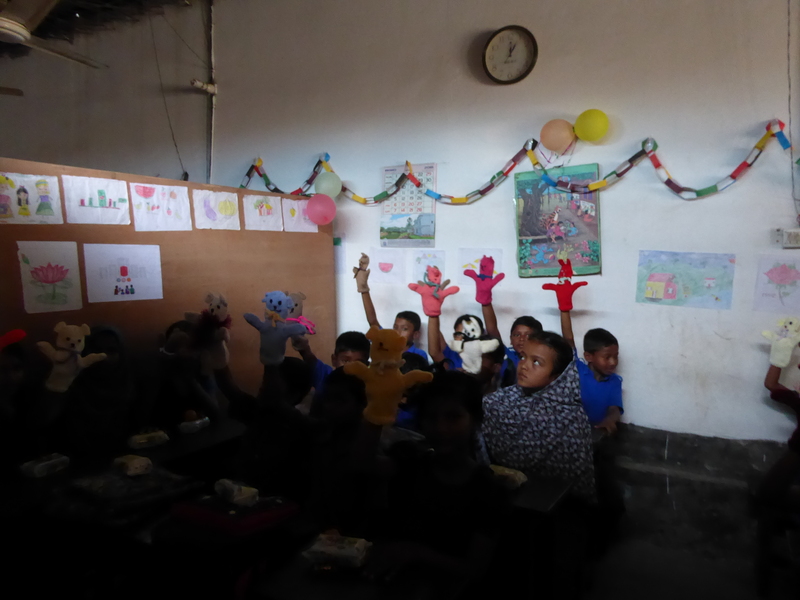 Joan Ingarfield and Liz Dominey, 2 of the trustees, have visited the children in Dhaka. The children were very pleased and to show them their work and there was party atmosphere as the children sang songs and recited poems for their guests. The Soroptimists of Bournemouth had knitted teddy bear puppets which were delivered, but as luck would have it there was a power cut as the photo was being taken! The children also received treats of pastries and sweets from their visitors which were readily received. Cementing Futures is an educational development charity with a mission to bring education, hope and dignity to children who have no means of currently accessing state provided education in deprived areas.